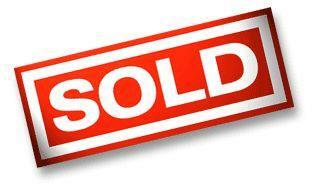 Do you want to sell your land, single family home, multi-family, condo or coop? Do you want to get the most out of it? Working with a team of leading real estate marketing & support professionals such as ours here at William Raveis Legends Realty Group which constantly assists me to provide you with the full spectrum of realty services necessary to sell your property at the highest possible price and in a timely manner is imperative in today's real estate market. My team and I employ a combination of time tested methods, state-of-the-art technologies, and a very high level of personalized attention to achieve the results our clients demand... and this service commitment of ours is applied to every single one of our clients no matter what price range they are in. We service all communities and their neighborhoods throughout Westchester County & Putnam County, including all of the Hudson River Cities, Towns and Villages, and especially Tarrytown, Sleepy Hollow, Pocantico Hills, Briarcliff Manor, Scarborough Manor, Pleasantville, Irvington, Hastings On Hudson, and the adjoining municipalities. We provide also complete worldwide relocation services and can recommend qualified real estate professionals specializing in the area you are moving to. Locally we are also able and happy to refer you to a reliable, capable and highly skilled group of real estate related service professionals, such as real estate attorneys, mortgage brokers, home inspectors, contractors, movers and many others, if so desired. This courtesy service is free of charge to you and we do not receive or accept any compensation of any kind from any such third party. Our sole purpose and only mission is to educate, guide and help you to negotiate without much hassle and stress any obstacles typically encountered in today's real estate market, no matter if you are buying, selling, renting or leasing, making every one of your real estate transactions an unequivocal success story. We have English, Spanish, Italian and German speaking agents available to assist you with all of your real estate needs, and if you are looking to relocate to our area or to any other location throughout the North East we have relocation specialists on staff. Well over 80% of home buyers start their search on the Internet. Therefore it is an absolute must to select a listing agent with a team capable of creating premium quality, full page Internet ads incorporating fully featured tools like slide shows, floor plans, virtual tours, school and area links, and mapping features, syndicating them to all major real estate related portals, directories and classifieds. CLICK HERE to learn more about our interactive marketing program. My marketing team designs and produces not just one, but three completely different ad layouts, especially customized for your home for sale, and distributes these interactive Internet advertisements twice a week until your home has sold. Our Web designer creates for your property for sale it's very own Web page tagged with a custom domain name (Internet address) and distributes it to all major search engines and real estate related portals on a regular basis. This Web page contains all pertinent information regarding your property, including a picture slide show, virtual tour, location map, mortgage calculator, additional information request form, viewing appointment scheduler, printable listing sheet, agent contact info and much more. CLICK HERE to see an example. As members of the Hudson Gateway Multiple Listing Service (HGMLS), formerly known as the Westchester Putnam Multiple Listings Service (WPMLS), we are able to place and expose your property for sale to hundreds of fellow real estate agents working with qualified buyer clients, many of which are looking for a home just like yours. Statistics show that most properties change hands because of agent to agent interaction initiated by listing them with the local Multiple Listing Service. While many real estate brokers are able to market a home on a regional basis through the local WPMLS system, only very few can do so on a national level. We on the other hand always market your home also with our Point2Homes national market system to thousands of real estate agents throughout the country, and even abroad. This exposes your property to buyers from other areas of the country, and even from other countries, which are planning to relocate to the Tri-State area, and especially Westchester County. The Broker Open House marks the only occasion when your home for sale is shown in person to local real estate agents searching for a suitable property for their buyer clients. Only a licensed real estate agent is able to hold a Broker Open House. Many times a home is shown again within a few days to interested buyers by agents that attended the Broker Open House earlier. This unique type of direct marketing of your home generates usually the most traffic and many times immediate and very viable offers. In addition my team and I also organize, advertise and staff Public Open Houses as well. While not quite as effective as Broker Open Houses they are another good opportunity to introduce potential buyers to your property in a controlled and safe manner. Public Open Houses may be held by us at various times once your home is show ready. We also still pay for the production and placement of high quality, multi-color ads featuring your home on a regular basis with regional and local newspaper and magazines. This traditional advertising method is used to capture the interest of possible buyers which do not work with a buyer's agent or do not use the Internet for their search. Furthermore, we also produce and pay for high quality postcards and property flyers which are repeatedly mailed to our database of active buyers and to households in your neighborhood as well. Additional copies are distributed by us to all local real estate offices as well to expose them again to your home for sale. Property flyers will also be displayed and distributed during showings, open houses and any other suitable occasion. Many interested buyers visit a neighborhood first to gather an impression and/or to obtain a feel for it. Therefore a highly visible Yard Sign placed on your property displaying our contact information can entice these casual browsers to get in touch with us for more information and/or to arrange for private showings. This is the latest version of a bar code type than can be scanned with any smart phone that has a built in camera. The QR code contains all the information about the property as well as photos and virtual tours. By scanning the QR code potential buyers will be able to save this information to recall it at any given time. All of our property for sale listings display these bar codes on their yard signs. All properties listed with us are registered with the Centralized Showing Service which allows buyers agents 24/7 to arrange for showing appointments. There will be no more missed opportunities to show your home. In addition we'll also receive valuable feed back on how your home for sale was perceived by the buyer candidates and their agents giving us enlightening clues as to what needs to be improved. 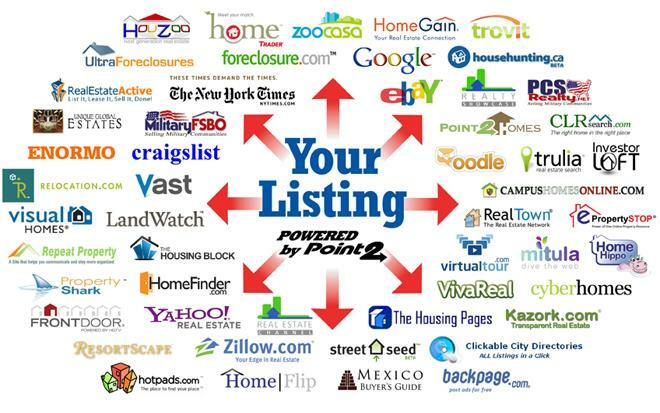 And these are just some of the many Multi Media Marketing Tools we use to get your home sold!